It was another enthralling round of action in the I-League that saw lots of goals and some interesting results. The Kolkata Derby was the big attraction of the weekend but the game failed to live up to its billing, finishing in a goalless stalemate. Elsewhere, Aizawl FC and Chennai City both came from behind to win. In the first game, Aizawl FC continued their fine run of form as they beat Churchill Brothers 3-1. Ghanefo Kromah put the visitors in front through the penalty spot. However, Aizawl hit back through goals from Lalramchullova and Kamo Stephane Bayi in the second half before Nongkhlaw headed into his own net to make it 3-1. In Saturday's first game, DSK Shivajians trounced in-form Shillong Lajong as they also won by the same scoreline in the Northeast. Sanju Pradhhan gave the Pune outfit the lead, but his goal was cancelled out by top scorer Aser Dipanda Dicka. Shane Mcfaul scored just before half-time to give his team the vial three points. 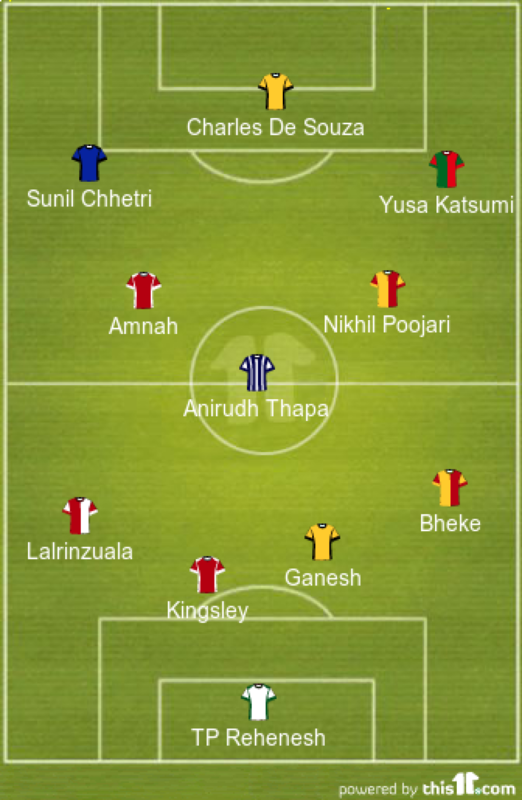 The theme of 2-1 scorelines continued in the game between Chennai City under new management and a floundering Mumbai FC. Anderson's opener for Mumbai was levelled by Dhanpal Ganesh, before Charles de Souza scored to seal Chennai's second top-flight win. Elsewhere Bengaluru FC once again failed to win after being held to a 1-1 draw by lowly Minerva Punjab. Sunil Chhetri's goal was evened by Kamalpreet Singh. Albert Roca's men are now without a win in five games in all competitions. 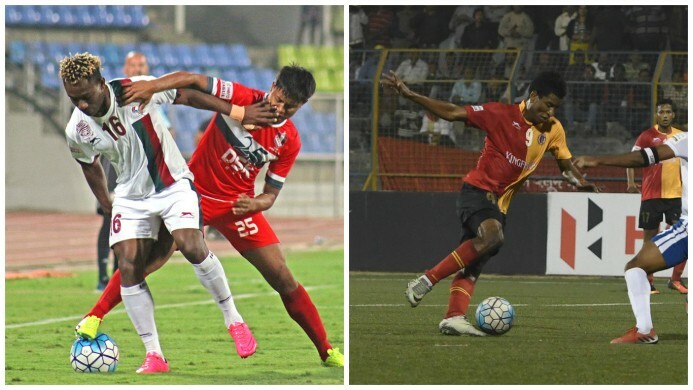 The first Kolkata Derby of the season capped the weekend's games. But, for all its top billing, it was a drab affair which ended goalless as both defences held sway. Mohun Bagan and East Bengal stay in the top two positions with the latter holding a 3-point lead. 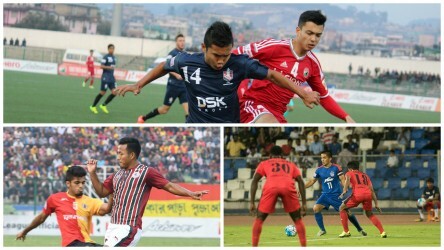 Aizawl are four points clear in third spot while Lajong and Bengaluru make up the top five. DSK Shivajians are next on nine points, while the bottom four clubs are separated by two points with Churchill Brothers at the bottom.